You can use the GNU Scientific Library (GSL) via the FFI (Foreign Function Interface) of LuaJITTeX (and LuaTeX ≥ 1.0.3). The FFI needs the --shell-escape option. 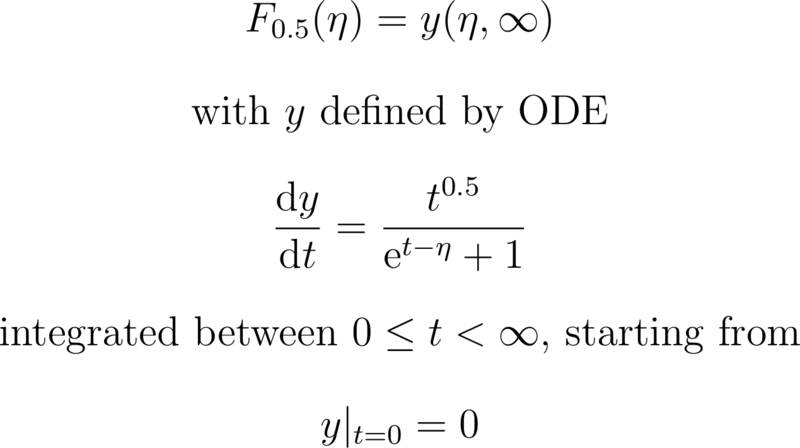 The function you are plotting is a complete Fermi-Dirac integral for which the GSL has functions as well. You are only missing the prefactor with the Gamma function (which I compensate using yet another GSL function). I plot this on top. As you can see the curves match perfectly. use fpu=false, % very important! This function from the GNU Scientific Library. can be also accessed by means of the internal Asymptote module gsl. Unfortunately, it is not mentioned in the main Asymptote docs among the other available GSL functions, but its name (FermiDiracHalf()) can be deduced from the source files. PSTricks is very good at numerical integration. Here we make use of package pst-ode to numerically solve this integral function by the RKF45 method. 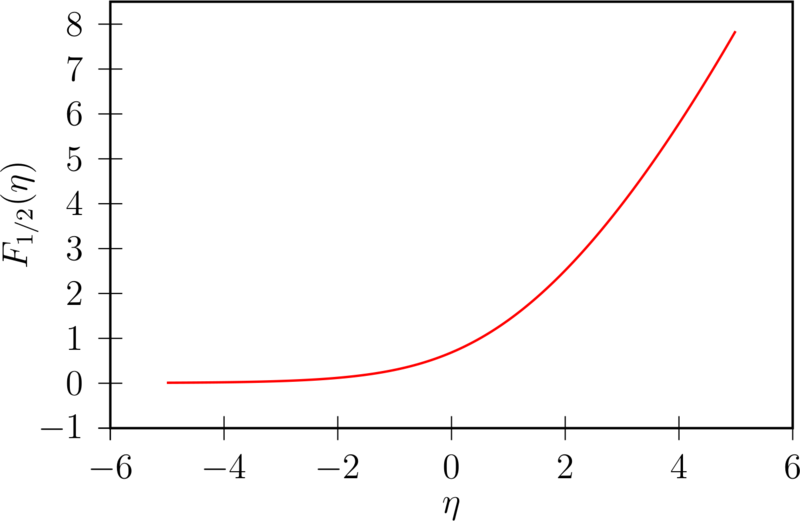 The same method is used for plotting the error function, erf(x), which is also an integral function. Yet another integral function example: https://tex.stackexchange.com/a/145174 . %             integration interval t_0---^   ^---"\infty"
% `retVal' contains [y(eta,0) y(eta,\infty)], i.e. the solution at t=0 and t=\infty. Not the answer you're looking for? 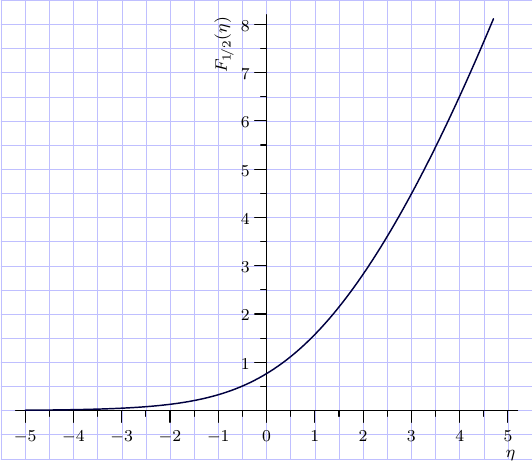 Browse other questions tagged luatex plot asymptote integral or ask your own question. How to plot a function in integral form with TikZ? 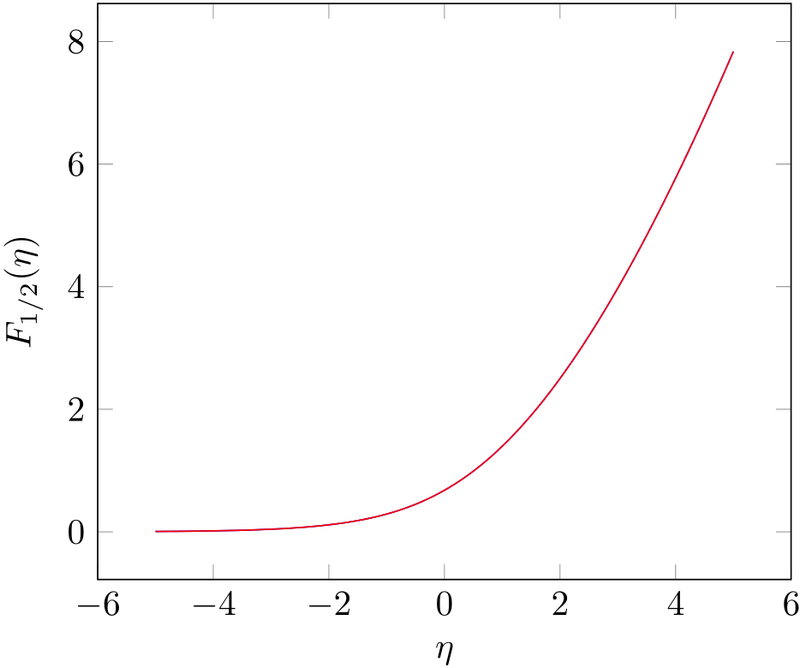 How to plot with tikz without graduations in the axis? 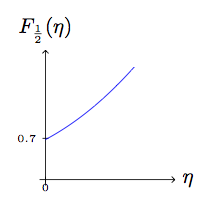 How to plot this integral function with PSTricks?